Vittoria Group area family owner award-winning Italian restaurant business. Vittoria Group in Edinburgh is home to some of the best Italian Restaurants in Scotland. We offer unique restaurant venues in Edinburgh City Centre. Offering fresh ingredients and serving a range of products including log-fired pizza, fresh pasta and Italian inspired desserts. An Edinburgh institution, Vittoria on the Walk has been providing delicious Italian food from its family-friendly restaurant in Leith for over 45 years. The secret to success? A dedication to providing authentic, traditional Italian dining throughout. Our traditional Italian menu has so much to offer from fresh vibrant antipasti to rich indulgent pasta dishes. Sample a classic Italian style pizza or dig into a sumptuous steak. Our kid’s menu also offers up three tasty courses for only £8.50. A regular restuarant for us when we go to Playhouse theatre. Never fails to deliver excellent customer service and amazing Italian food. We dined at the restaurant two nights in a row and were impressed by the outstanding quality and service on both occasions. We deliver consistently great service. 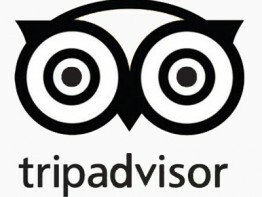 This designation is given to establishments that have consistently achieved great traveller reviews on TripAdvisor over the past year.